The Executive Committee of Supreme Court Bar Association [SCBA] on Thursday passed a resolution condemning the proposed Amendments in the Advocates Acts suggested by Law Commission of India. But it has made it clear that it will not participate in the strike announced by Bar Council of India by abstaining from court work Tomorrow. “The SCBA being the Apex Bar of the Country feels that it is its duty to provide leadership to the entire legal fraternity in this hour of crisis. Therefore, the Executive Committee resolves and calls upon all its members to wear a white arm band as a mark of protest against the proposed amendments on 31.03.2017 and also as a mark of solidarity with the entire legal fraternity and protesting lawyers of the country”, states the resolution. The emergent meeting of the Executive Committee of the Supreme Court Bar Association was convened today i.e. 30.03.2017 in relation to the letter dated 27.03.2017 written by the Bar Council of India to the SCBA wherein the Bar Council of India informed the SCBA that it has resolved to give a call to the advocates of the country to abstain from Court’s work on 31.03.2017 to protest against the draconian Advocates Amendment Bill-2017. After perusing the proposed Bill to amend the Advocates’ Act 1961 as well as the resolution of the General Body of the BCI, the Executive Committee strongly feels that the said proposed amendments will jeopardize the autonomy, independence and effectiveness of the entire legal fraternity of the country and also the independence of the judiciary. The Executive Committee strongly feels that any move to table the Bill or to give effect to the passage of the bill or to amend the Advocates Act will weaken the legal profession and therefore, the Executive Committee strongly opposes the said proposed Bill. The Executive Committee resolves that all necessary measures will be taken by the SCBA involving the State Bar Associations across the country, also various district Bar Associations and the entire legal fraternity so that this bill in its current form is not introduced in the Parliament. 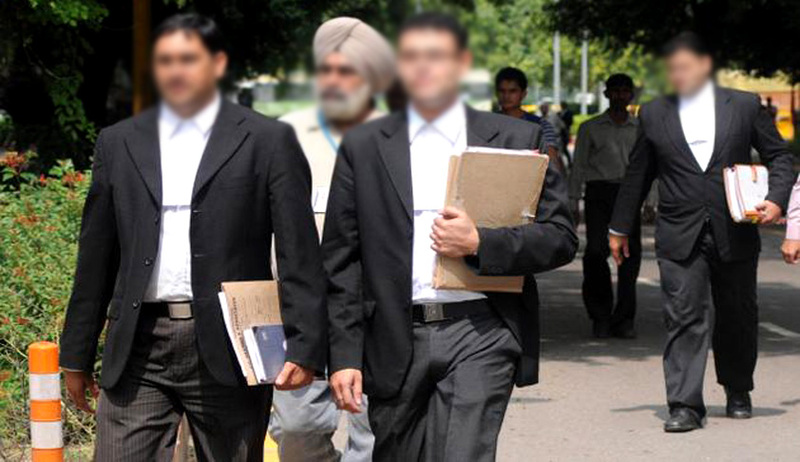 (a) Imposition of fine on lawyers which may extend to Rs.3 lakhs. (b) Award of compensation to be paid by lawyers to the litigants upto Rs.5 lakhs. (c) The SCBA also vehemently opposes induction of non- lawyers into various disciplinary committees, which will be empowered to take action against lawyers in case of alleged misconducts. (d) Complete ban on lawyers to strike/boycott or abstain from court work or right to protest. The Bar Council of India in utter disregard of their obligations and duties regretfully submitted the report to the Law Commission of India without taking any inputs from the SCBA or any other State Bar Associations. The SCBA being the Apex Bar of the Country feels that it is its duty to provide leadership to the entire legal fraternity in this hour of crisis. Therefore, the Executive Committee resolves and calls upon all its members to wear a white arm band as a mark of protest against the proposed amendments on 31.03.2017 and also as a mark of solidarity with the entire legal fraternity and protesting lawyers of the country. and to apprise them about the concerns of the legal fraternity. 6.The Executive Committee resolves that *SCBA will take lead as the Apex Bar of the country in organizing a series of Seminars/Meetings and countrywide protests* which will include all eminent leaders of the SCBA, State Bar Associations, State Bar Councils and leaders from all across the country. 7.The Executive Committee resolves that keeping in mind the sensitivity, seriousness and urgency of the issue, the Executive Committee will at the earliest convene a Special General Body Meeting of the SCBA. 8.The Executive Committee further resolves that it will actively participate in the proceedings in the case titled as Mahipal Singh Rana Vs. State of U.P. to assist the Hon’ble Supreme Court in framing appropriate guidelines to regulate legal profession.